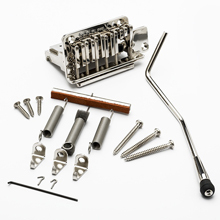 The TKS-1 is for guitars with a two post or six screw style tremolo unit. It is not a drop in. Nominal routing will be necessary. Template Set for TKS-1 Pocket Rout available on the Template dropdown page. Set includes Top rout and Pocket rout template. LEFT HAND Available in all colors. ***Installation instructions and a template design showing the necessary cutout is provided with each unit. CNC cut templates are available on the Products page. 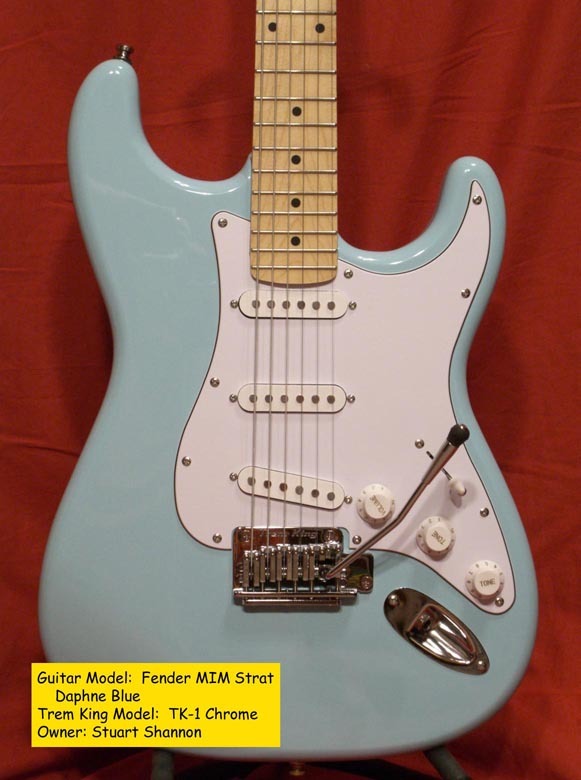 ***Routing is necessary on EVERY guitar when retrofitting types of vibrato systems. 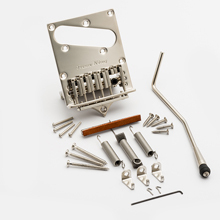 The routing necessary for a Trem King® installation is quite nominal compared to others. 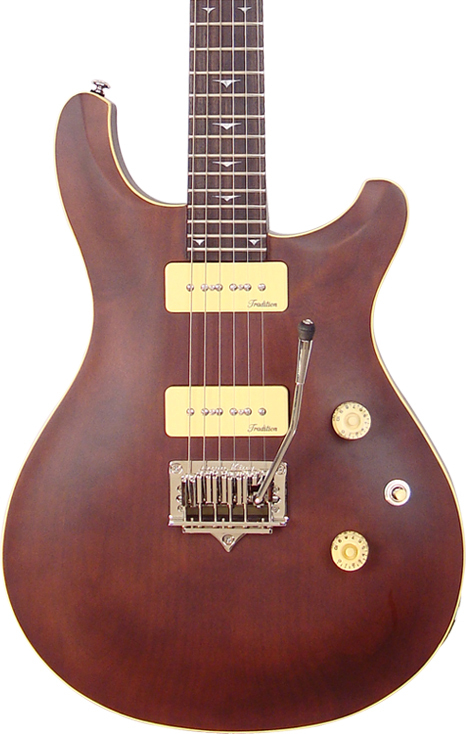 The TKS-2 is designed for guitars that have a slanted single coil pickup at the bridge that mounts to the bridge plate. The vibrato works exactly the same as the TKS-1, but uses a different bridge plate. Routing of a spring cavity is necessary for installation of this unit. Template Set for TKS-2/3 available on the Template dropdown page. Set includes Top rout, Spring Cavity and Pocket rout template. 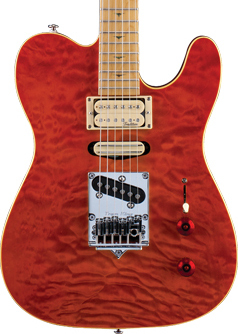 The TKS-3 is designed for other style solid body guitars with no existing cavity route and having the correct neck angle to accept a body mounted bridge. This model features a smaller footprint than traditional trems. 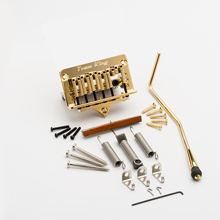 The vibrato works exactly the same as the TKS-1, but uses a different bridge plate. Routing of a spring cavity is necessary for installation.